WordPress or Joomla: Which system is best for you? Content Management Systems or CMS Sites are great ways for clients to get a custom web site that they can continue to add their own fresh content to without much knowledge of coding or programming. CMS sites require little technical skill or knowledge to manage. Two of the biggest names in CMS are WordPress and Joomla. Over the years they have become more and more similar to each other, but each still has it’s own advantages. Many are familiar with WordPress as a tool for creating blogs, but really WordPress sites can be fully customized and restyled to look much more sophisticated than “just” a blog. In fact some of the top corporate websites out there (Forbes, GM, UPS, Sony) use WordPress for at least a portion of their online presence. 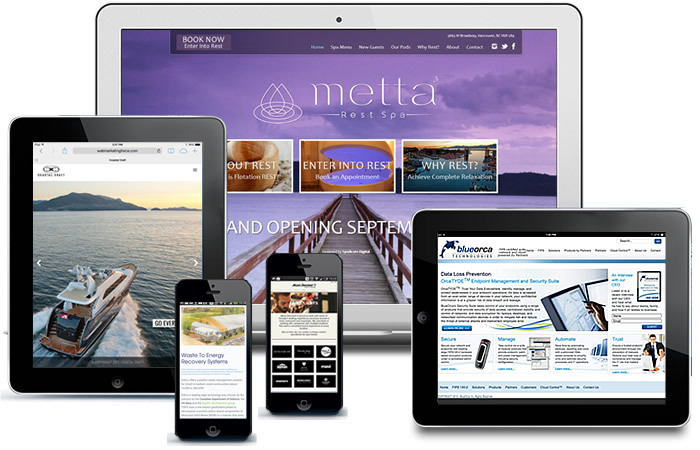 WordPress offers many responsive features that make it ideal for mobile and tablet viewing. WordPress is extremely easy to get up and running and the back-end interface is simple enough to figure out that even those without experience should be able to figure it out relatively quickly. In fact you can write any new content in Microsoft Word or the like and cut and paste into the WordPress content editor. This user-friendliness is a key benefit for clients that want to be able to update their sites without too much worry later on. Joomla is an award-winning CMS that powers many well-known websites and online applications. Joomla is used all over the world for websites of all shapes and sizes. It requires a bit more understanding and experience than WordPress but is great for eCommerce sites that require large catalogues of products and expansive amounts of articles. The back-end is perhaps not quite as intuitive as WordPress but with a relatively small investment of time you can learn the system and get access to a CMS that is ideally suited to creating eCommerce sites that run on a fast framework and allow quick page downloads. One of the biggest benefits of Joomla is that it can be used to create social networks — so if you want to add a user community to your site, Joomla may be the better option for you.